On February 3, 2016, Shelby was diagnosed with Stage 4 Hodgkin’s Lymphoma. When her aunt broke the news, she couldn’t believe it. As a high school student, the only thing she worried about was cheerleading and her school work. It wasn’t until her closest friends came to the hospital in tears that it really sank in. “Wow, I have cancer,” she thought. One day she was out shopping for a homecoming dress with her best friend, and the next she was in the hospital being diagnosed with cancer. With hopes of continuing to be a “normal” teenager, she remained positive and stayed strong for her family. Just days after being diagnosed, she began a six month chemo plan, as well as radiation. Amazingly, during the third treatment, her results showed that the cancer was almost completely gone! Her doctor continued through her fourth chemo treatment to be sure the cancer was gone. Luckily during this time she was no longer doing radiation. Shelby showed just how strong she was during her treatment and proved that she could remain a “normal” teenager. Attending school regularly, she continued her AP courses, involvement in ASB, and cheering at the basketball games. She vowed not to let her diagnose change her life, and with the unbelievable support from family and friends, she didn’t let it. 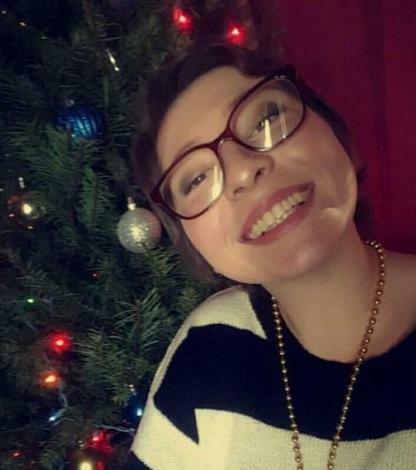 On May 31, 2016, Shelby was ecstatic to hear that her results determined she was cancer free! “To overcome something like cancer, at such a young age, was such an amazing feeling to have,” Shelby expressed. Shelby is now back at school full time, has become the Cheer Captain, and recently joined the water polo team. She plans to continue living her teenage life as normal as possible, and can’t express how thankful she is for the support she has received.